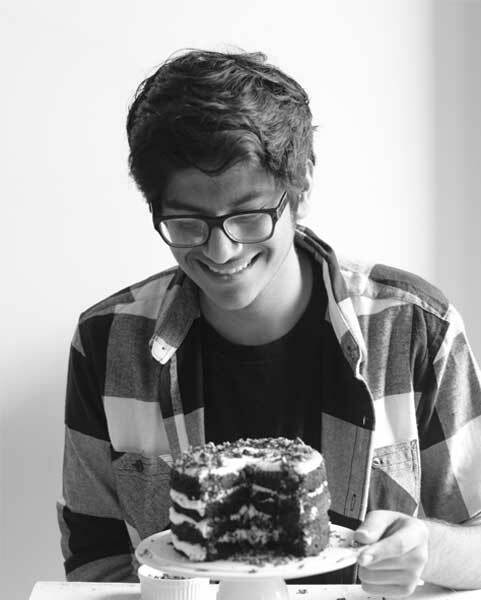 Meet Shivesh Bhatia, author of “Bake With Shivesh” is an inspiration to all young food bloggers across India. With mouthwatering recipes to the most beautifully crafted cakes and desserts, he is one pastry chef whose dishes you wouldn’t want to miss. Shivesh started blogging since December 2014 and has established himself as one of the youngest Indian Food Bloggers within the food blogging community. Apart from this he also organises baking workshops and teaches you how to create simple yet beautiful recipes. 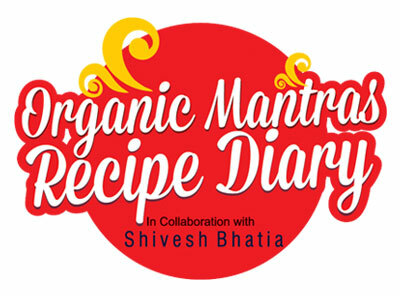 Stay tuned to this space for all things sweet, baked and organic with 24 Mantra Organic and Shivesh Bhatia. The aroma of the banana bread as it comes out of the oven is truly mesmerising. 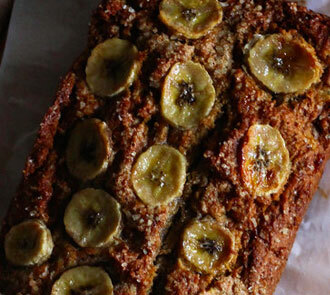 This fluffy, sweet, and spongy banana bread bed is the perfect thing to start off your day. You can have it with some jam or some maple syrup, some Nutella, some honey and for the best experience add some more bananas as topping. This is an irresistible recipe and a must try for everyone who wants to go bananas! Here we have yet another marvellous cake recipe from shivesh bhatia. The speciality of shivesh is his simplicity when it comes to the ingredients and the easy to execute these recipes. 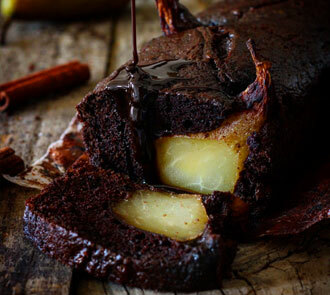 The combination of chocolate and pears is truly divine and heavenly. The beauty of the cake is that all of the ingredients come together to create this breathtaking dish, and as you cut through the cake you can find a yin-yang split of the pair and chocolate and it actually looks like a food wonder of the world. This dish has the ability to make you crave for more. What’s even better is that this dish is very easy to make, in just a few steps you will have this stunning cake for your indulgence. Try this recipe today! Ever wondered how to make the perfect tart shells? 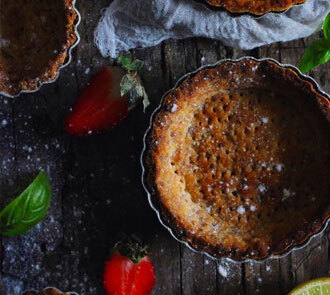 Well, these tart shells are extremely easy to make and are good for any kind of tart right from chocolate tarts, mango tarts, strawberry and cream tarts or any other flavour of tarts that pleases your craving. But if you really analyse the tart separately you will know how important it is to get the tart right. Apart from being an edible cup it also brings in the balance that the overall dish requires. Right from the crunch to the flavouring when the tart crumbles as you bite into it. The trick lies in the batter. 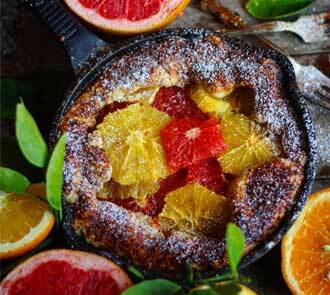 Try out this simple tart shell recipe and tell us what flavour of tarts you tried out. Shivesh says that he is obsessed with the peanut butter from 24 Mantra Organic and its extremely difficult to disagree with the dessert king himself when it comes to the sweet stuff. So this recipe features a flaky puffed up pastry filled with creamy peanutbutter, these puff pastries are baked for 30 – 40 min and topped with some sesame seeds to add that beautiful flavour and crunch to the entire dish as you take a bite into each pastry roll. The young baker also says that we must take his word when he say that “if there is an organic alternative for a particular ingredient then going organic is surely the way to go.” So what are you waiting for, try this recipe today! 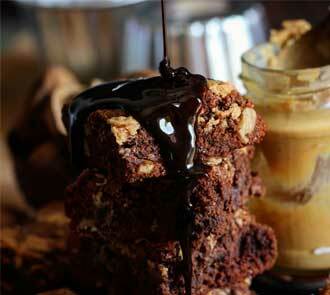 Who can resist the temptation to indulge in these amazing brownies? Soft, spongy and full of flavour. The combination of the chocolate, walnuts, organic sugar and the creamy peanut butter is truly spectacular. The aroma of these brownies are extremely captivating and can lighten up your day in a matter of minuites. Do you still think you can resist the craving to try out one of these delightful brownies? Didn’t think so. So hurry up, put on your apron, pre heat your oven and get ready to make these beautiful brownies. And don’t forget to share this recipe with your friends and family, we are sure they will love it too. “The market is flooded with citrus of all shapes and sizes. It is so exciting to use the freshest oranges and grapefruits to make my desserts this season,” says Shivesh Bhatia the Dessert Prince. With the mission to make a whole wheat dessert packed with beautiful zesty flavours, we are sure that these will tickle your taste buds alright. We are sure that with every bite into this splendid organic cake you will feel a jolt of energy rushing through you. Make sure you choose the freshest of ingredients for this dish and enjoy this with your family and friends this festive season. For those of you who don’t know what Smores are, they are traditionally marshmallows and chocolate sandwiched together between two crakers and are usually had when you go camping or on a road trip. This recipe however is a fusion of a cookie and a Smore. 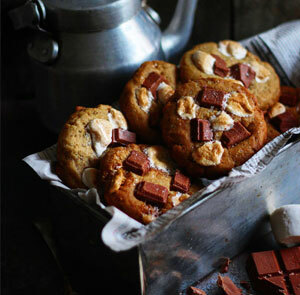 The goodness of a cookie with the yummy marshmallow and the chocolate fushion makes this a delightful delicacy. And believe you me, once you have all the ingredients, this dish is super easy to make. With christmas round the corner this is definately a dish that you guys must try out. We are sure that your family will love it and so will you. And don’t forget to tell us how much you loved this fabulous recipe. 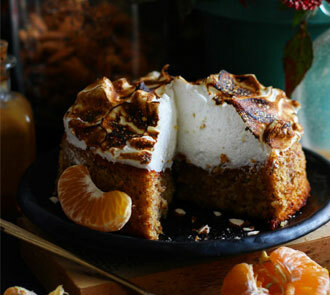 Hands down the Flourless Orange cake is one of the most flavourful and extremely easy to make cakes that we have seen so far in the “Organic Mantras Initiative”. A simple accentuation of the flavour of the Oranges with the nuttiness of the almonds sweetened to perfection with Organic Sugar is what makes this beautiful cake recipe a total crowd pleaser. This the perfect cake that can go well with your morning coffee or your evening tea. It can be a nice snack for your kids to eat and can even be a beautiful Christmas Cake. Try the recipe, and tell us how much you enjoyed it. Here is another superb recipe using our amazing Organic Strawberry Jam. Shivesh Bhatia presents us with yet another cracker of a dish, so full of flavour, and so full of love that it will lighten up even the grumpiest person’s day. 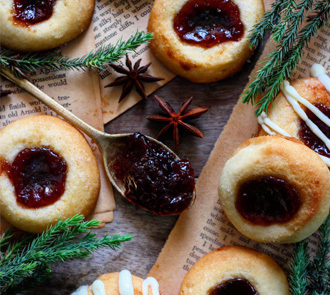 And let’s not forget, Christmas season is right around the corner and we don’t need a grinch in the house so this easy Organic Strawberry Jam Thumbprint Cookie is just what the doctor ordered. So we better get cracking folks click on the link for the complete recipe. 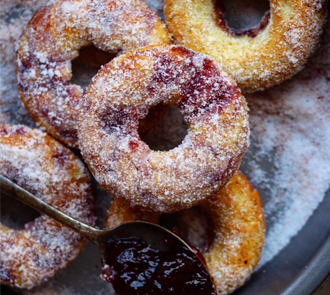 Organic Strawberry jam doughnut presented to us by @shivesh17 is one dessert that you wouldn’t want to miss. They are delicious and easy to make.These doughnuts are incredibly light, gooey and extremely tasty. The organic sugar lends a super moist texture to the doughnuts says the young pastry chef. So dont wait any longer folks, put on your pastry chef hats click on the links below and get cracking on this amazing marvelous dish. Dive into the magic of this 6 layer marvelous dessert goddess of a cake and you will be sure to attain absolute nirvana. 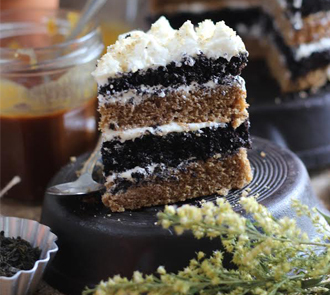 the softness and sponginess of the “Black Tea Cake” is mouthwatering in itself, but its the colour, the texture, the taste and the aroma of the 24 Mantra Organic Honey Frosting that is the true champion says “Shivesh”. 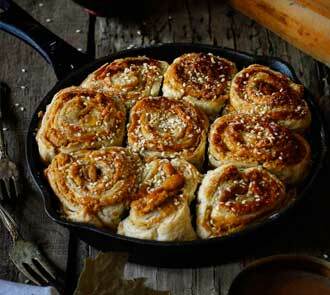 Check out this amazing recipe and tell us how many of you tried it. This is a brilliant dessert with the goodness of Organic Honey! So wait no longer Folks, try out this amazing recipe today! Want to try a drink that cools your body down in a matter of seconds, look no further. 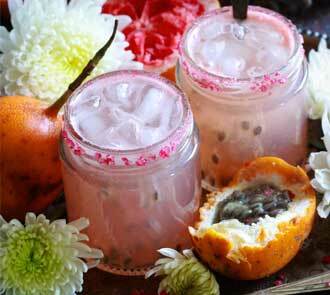 Here is a beautiful mocktail that will take you to paradise as soon as you take your first sip. Shivesh says that the Organic Honey is a perfect addition to the cooler and transports you to a beautiful spring. And what’s even better is that it has no added sugar or preservatives. All it takes is some grape fruit juice, some pulp of passion fruit and some super duper organic honey. So what are you waiting for? try this beautiful drink today! Ever wondered what a chocolate cookie would taste like with 24 Mantra Organic Peanut-butter? 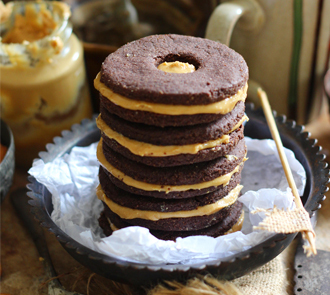 Well you can rest assured that Shivesh one of india’s finest dessert blogger knows just how to blend both these ingredients together and plate a truly exquisite “Organic Chocolate Peanut-butter Cookie Sandwich” Read the complete recipe, try out this delicious dish and tell us what you thought.